A Maritime Lawyer, Barrister Osuala Emmanuel Nwagbara has called on entrepreneurs in the country to invest in Maritime institutions saying that establishment of more maritime schools will help increase the number of professionals in the industry. 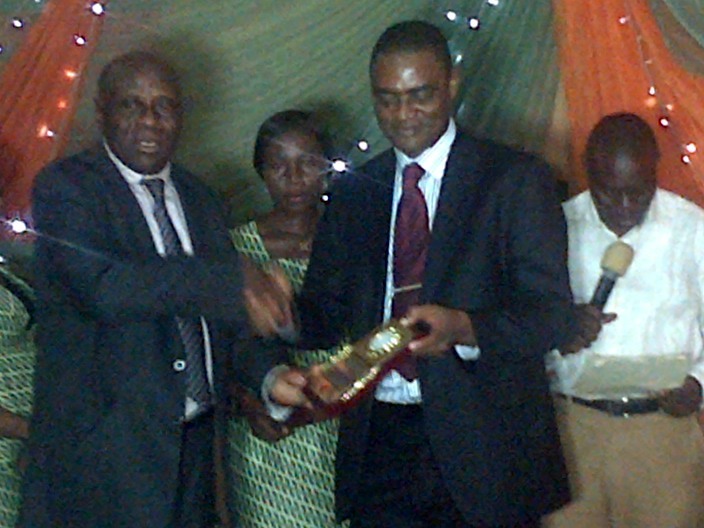 Nwagbara who made the appeal at an event held in Lagos last week, when he won the best Maritime Lawyer of the year organized by National Evergreen Merit Award observed that there was the need for investors to participate in the creation of marine colleges that will help to build capacity in the sector. He also urged maritime schools without website to do so because it is of an advantage to them and the country at large. The maritime lawyer of the year also said lack of active website by some of the existing schools is the problem behind the lack of recognition by the government and some parastatals under the ministry of transport. “We can train able seamen, we can also train people on survivor tactics and first aids and these are some the services rendered on board vessels and schools can specialize on these courses for the purpose of the sector’s growth”, he added. Speaking further with the media, he stressed that establishment of more private maritime academies will discourage Nigerians from partaking in foreign maritime educations. Nwagbara noted that for seafarers to get recognition from the Nigerian Maritime Administration and Safety Agency (NIMASA) there was the need for them to get the requisite with maritime schools that are of quality and standard.